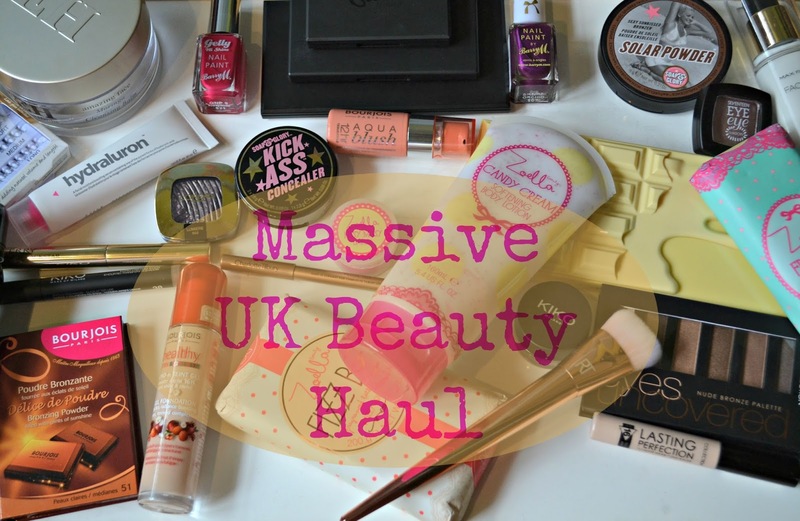 So I just got back from my amazing UK holiday and I bought a few beauty items while I was there. Before I begin I have a few thoughts to share about my trip and my experience shopping for makeup in the UK. Keep in mind I'm still jet lagged so I hope this makes sense. I was gone for a month and my travels lead me to Ireland (Ring of Kerry and Dingle), Edinburgh, Glasgow, Inverness, Stirling, Lake Windemere in England, London and Brighton. I did all my shopping in Scotland and England but the conversion from the Canadian dollar to the pound is just over double so this was quite the expensive trip for me. I mostly shopped at Boots, Superdrug and Space NK. I loved how in drugstores in the UK you can actually try out the product before you buy it. I wish we had that here in Canada. It also seems like there are so many more drugstore (High Street) brands to choose from than we have in Canada. The products I bought were mostly based on recommendations from you guys or products I've often heard British youtubers praising. Let me know in the comments if you can guess which youtubers I watch based on my purchases :) I've already tried most of the products so I'm sorry that they look used, reviews will come soon! So now what you've been waiting for... the HAUL!! Kiko Cream Crush eyeshadow in 05. Check out her blog, her recommendations were amazing! Let me know what you think about my purchases from my UK trip and if you have any of these products. Glad you liked my recommendations! The Emma Hardie cleanser is amazing too, I'm nearly finished mine so trying to drag it out a bit longer! Your recommendations were so great! Thank you! I love everything I've tried so far I just don't have a good way to replace anything so I'm trying to be very selective about how I use things. Thanks! I was so impressed with all the Soap and Glory products I got, especially the Solar Power Bronzer.